It’s been a big 48 hours for Donald Trump. Thursday night’s Republican debate was heated – and Marco Rubio continued the attack on CBS This Morning calling Trump an “erratic” “con artist”. And just hours after Rubio’s attacks – Donald Trump received an endorsement from former presidential candidate Chris Christie. At a later rally – Trump seemed to spend more time attacking Marco Rubio than talking about his recent endorsement. Just a typical couple of days in this GOP circus. 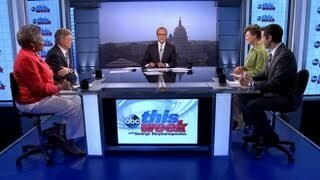 America’s Lawyer, Mike Papantonio, discusses this with political commentator Chauncey DeVega on RT’s The Big Picture. CNN projects Donald Trump will win the Nevada Republican caucuses, his third consecutive victory in the GOP presidential race. This entry was posted in Republicans and tagged 'This, Donald, Insane, Owns, Party, proves, Republican, Trump, Week' on February 27, 2016 by William. Is This the End of the GOP as We Know It? This entry was posted in Republicans and tagged 'This, GOP, Know on February 3, 2016 by William. This entry was posted in Republicans and tagged 'This, Cycle, debate, ratings, Republicans, secondlowest, Trump, without on January 31, 2016 by William. Republicans point fingers: Who let Trump get this far? This entry was posted in Republicans and tagged 'This, fingers, Point, Republicans, Trump on January 29, 2016 by William. After a shocking primary loss in June, the long-serving Republican will leave Capitol Hill for good August 18. This entry was posted in Republicans and tagged 'This, Cantor, Congress, Eric, Leave, Month on January 17, 2015 by William. 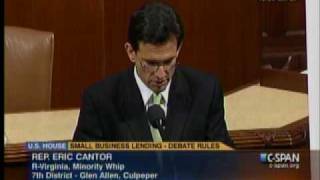 This entry was posted in Republicans and tagged 'This, Cantor, Discusses, Eric, Excess, Federal, property, Republican, Selling, vote, Weeks, Whip, YouCut on August 8, 2014 by William. 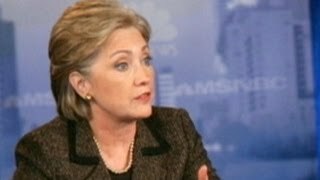 Bill Clinton discusses Hillary Clinton’s potential presidential run. This entry was posted in Democrats and tagged 'This, 2016, Bill, Clinton, Clinton's, Hillary, Interview, Potential, Presidential, Race, Week' on June 22, 2014 by William. This entry was posted in Healthcare and tagged 'This, Havoc, Healthcare.gov, news, website, Week' on January 26, 2014 by William.